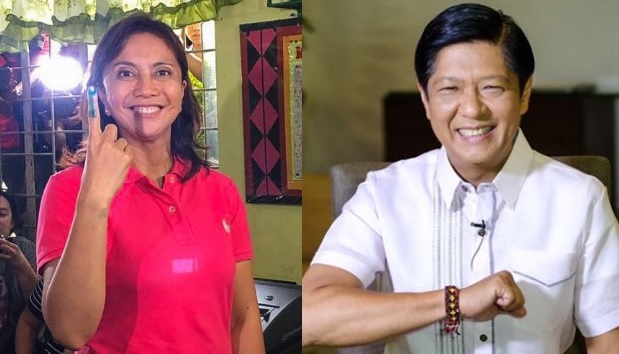 MANILA, Philippines - Camarines Sur Congresswoman Leni Robredo has overtaken early frontrunner Senator Bongbong Marcos in a close fight for a vice presidential seat early Tuesday, May 10, 2016. Cong. Leni Robredo takes lead from Sen. Bongbong Marcos after 10 hours of counting. Robredo took the slight lead of less than 600 votes against Marcos, 12,860,722 and 12,860,147 votes respectively based on 3:00 a.m. partial and unofficial counts from the Commission on Election (Comelec) Transparency server. As of 6:29 a.m., the Liberal Party VP bet edged out Marcos with less than 80,000 votes, 13,108,167 and 13,032,667 accumulated votes. Senator Alan Peter Cayetano ranked third with more than 5 million votes while Sen. Francis Escudero got around 4.5 million of votes. Trailing behind are Senators Antonio Trillanes and Gringo Honasan, each with around 700,000 votes. In the presidential race, Davao City Mayor Rodrigo Duterte is in the lead with 15,014,824 votes, followed by Liberal Party standard bearer Mar Roxas with 9,005,569 votes. After 10 hours of counting, Robredo took to Twitter to announce that votes from her bailiwicks, Bicol, Iloilo and ARMM, have started to come in. Earlier, Robredo said that based on her camp's own quick count, she is confident that she will win. "Palapit na tayo. Ayon sa projections, mananalo tayo. Walang bibitiw. Sa huli, ang tama ang mananaig. Dasal pa tayo. ‪#‎LabanLeni,‬" she posted on Facebook. Supporters of Marcos also shared their support as "#BBM4VP" also trended on the microblogging site.